After the fourth plague, Pharaoh offered Moses a compromise – the Israelites could worship God in Egypt without going to the wilderness. Moses replied, “We are going to sacrifice the gods of Egypt in honor of our God. Could we possibly slaughter the Egyptians’ gods right in front of their eyes, and they not stone us?” According to the Torah, the Egyptians held sheep to be sacred, as the image of their deity. Ultimately, the Torah tells us, God commanded the Israelites to take a lamb or a kid for each household. They were to hold it for four days, from the tenth until the fourteenth of the first month, and slaughter it on the fourteenth. This was done in Egypt, despite the Egyptians’ religious beliefs. 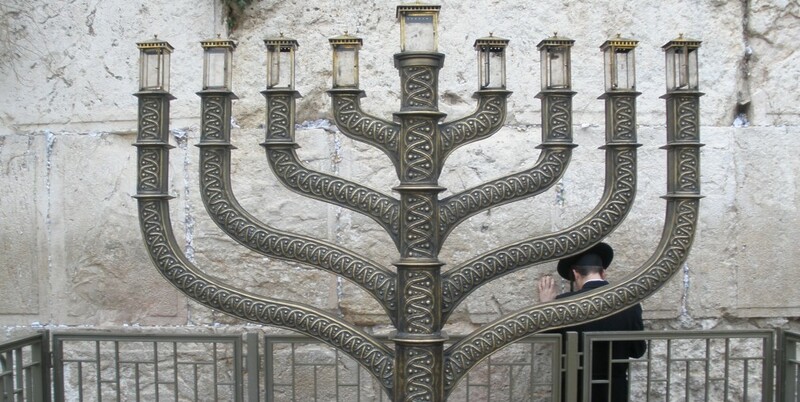 To this day Jews commemorate this event, calling the Sabbath preceding Passover Shabbat Hagadol – “The Great Sabbath” – for the Egyptians were powerless to do anything to harm them or to prevent them from sacrificing the Egyptian gods. Egyptian mythology confirms this. 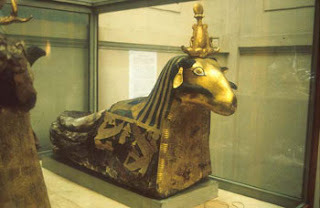 The god Khnum was one of the principal gods of Egypt, and one of the oldest. Khnum’s temple was located on the island of Elephantine, today known as Aswan. He was said to be responsible for the level of the Nile and the silt that was deposited from the river’s flooding. He was also portrayed as the creator of mankind. His image is of that of a man with a ram’s head. Remains of mummified rams have been found in Khnum’s temple.